Olive Tree (Olea europaea): growing, planting, caring. 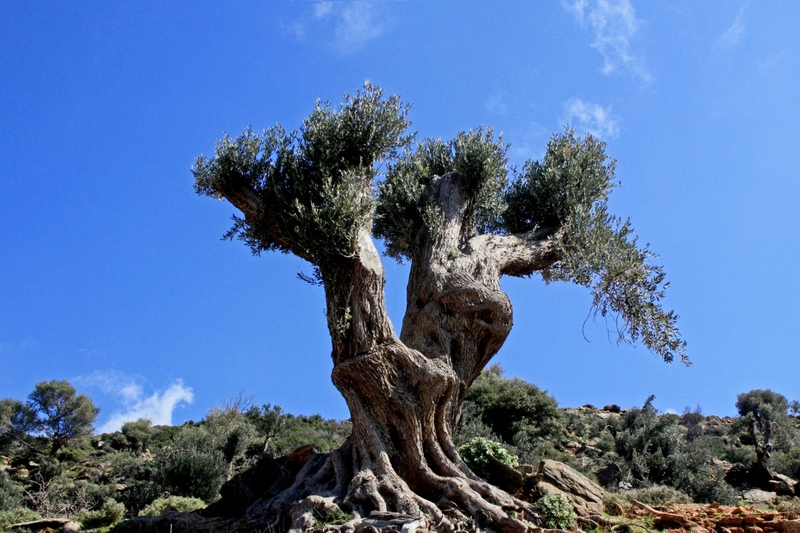 The olive has been cultivated since ancient times in mediterranean climates. If not planted in a hot climate, upkeep for the olive will prove burdensome for the gardener and without any fruit to show for his effort. The olive is an evergreen tree well-known for its long lifespan. Despite its durability, the plant is susceptible to frostbite at -10°C. Suffice it to say, any attempts to grow the olive north of the Mediterranean, even with the protection of a shelter, will at best result in a barren tree and at worst a dead one. You have been warned. If you enjoy the silvery leaves of this plant, you might also like to have a look at the willow... They love full sunlight, hot temperatures, and well-drained soil. They can even do well in dry, low-quality and chalky soil. It is perfectly possible to grow them in a pot. A tree with foliage that is evergreen, silvered, elongated oval in shape, alternating, on a short petiole. 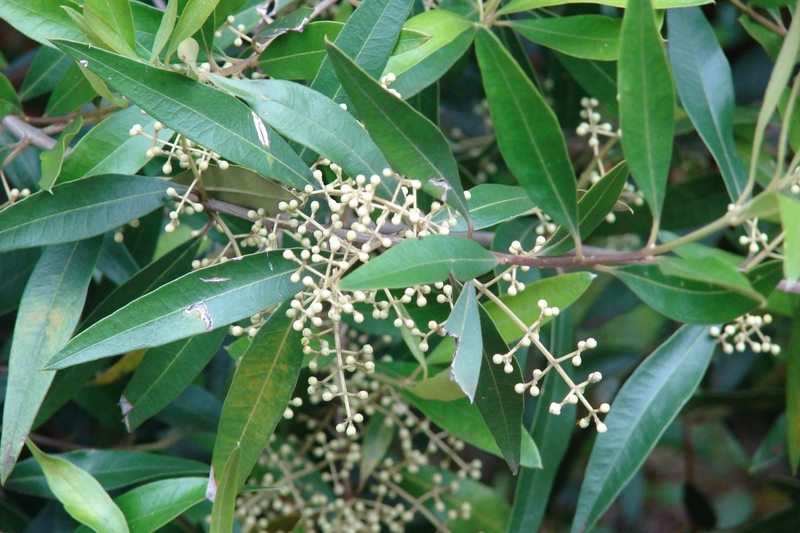 The flowers are white and change into first a green drupe, then become purple, and then black during summer. The bark is thick, cracked, and brown on knotted branches. During spring, plant them in open soil that is well drained, sunny, and warm. Dig a hole about 20 cm bigger than the root ball and plant it without burying the root collar. Provide your olive tree with a solid stake, driven 60 cm from the root ball. Attach it with one or two compatible flexible links. Pack down the soil well - don't mix the soil layers. Form a large basin, and water with at least two watering cans. When potted, plant in well-balanced soil and place gravel at the bottom for good drainage. Choose the biggest pot possible. Remove/cut - the stake after two years. Every two or three years, repot your olive tree, trim 1/3 of the roots, and replace 1/3 of the soil. For large trees, just do a surfacing which consists of only changing the surface soil. Don't bury the root collar. Water potted olives when the soil has dried from the last watering without ever soaking them. 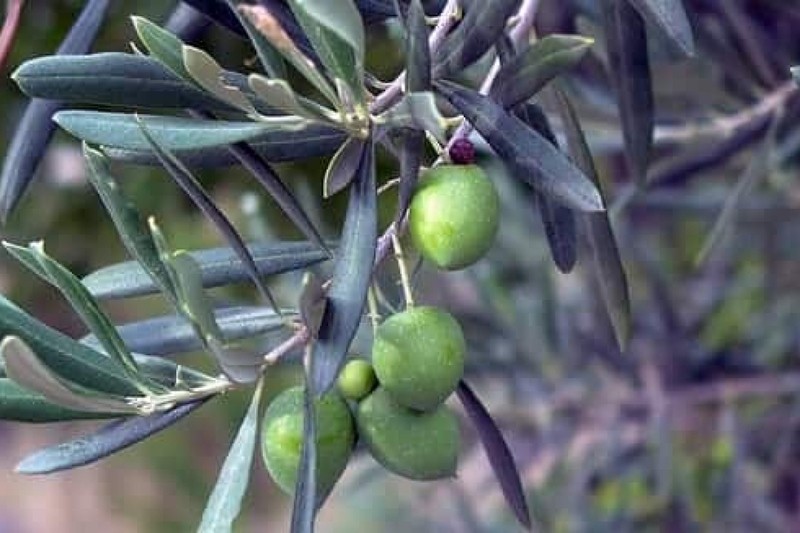 In general, the olive being Mediterranean, it is riskier to water too much than not enough. For planted trees, for fruiting, get rid of some of the old branches each year. For potted trees or for ornamental trees, prune in a manner that forms a widened crown. In both cases, remove branches that are growing from the base or growing laterally to give a nice shape to your olive tree. Keep your potted olive trees sheltered from frost by bringing them into a cold greenhouse or veranda before winter or by covering them with an insulating material such as straw. In April-May, take out your pots sheltered for the winter and place them in a sunny spot. Rabbits love the olive tree's bark, thus if you have any, protect the base with a fence. Watch for traces of rot or verticillium wilt, which are deadly to the tree. Leaves infected with diseases such as sooty mold and peacock spots are treatable and are less serious. Olive canker is often treated by cutting off the infected branch. Harvest the olives when they have reached the maturity that suits you. For this, olive growers use nets that collect olives knocked off with the help of rakes. 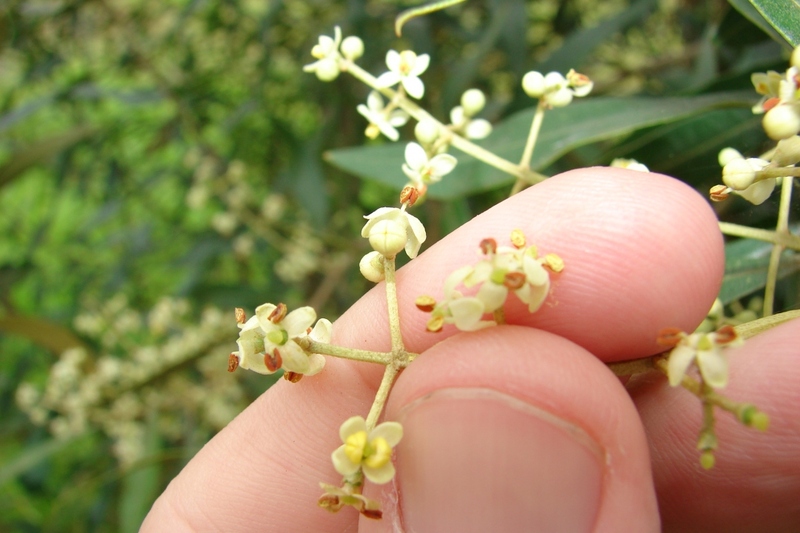 For small trees, you can harvest olives by hand.